Without doubt one of the most important laws of the universe concerns the use of the muscles. “Activity is life; stagnation is death.” Activity is the law of the life – and of health. We have developed our muscles one by one or pair by pair through the evolutionary processes that have brought us up from the slime of pre-historic ages. The original and earliest form of life is considered to have been a one-celled organism similar to that which modern Science calls the amoeba. Gradually and by slow degrees, because of necessity, organs and structures, including muscles, were formed. Whether or not evolutionary processes still are taking place in the human body is debatable. But certain it is that any structure present in the body today has definite functions and should have an opportunity to perform these functions normally. The normal function of muscle tissue is contraction and expansion – in other words work. The work of a muscle may be in the form of labor or it may be in the form of indoor or outdoor exercises or sports, but to the muscle it is work, and the muscle must have work or it deteriorates. Our nervous system has been perfected through the use of the muscular system. A man who loses an arm or a leg will have a deterioration of a certain portion of the brain, readily shown upon autopsy after death. The finer the movements, the keener the response of the nervous system. Thus the pianist, the violinist, the artist with his delicate touch, where their specialized activities are concerned, may have a more responsive nervous system than has the prize-fighter. In any case, however, exercise serves the purpose of contracting and expanding muscular tissues. And there are other functions of exercise than developing keenness of response of the nervous system or of maintaining the nervous system in a responsive stable condition. Among the functions of exercise are those concerned with digestion and metabolism. Upon the use of the muscles there is of course a contraction of the fibers forming the muscles. Nervous impulses travel down the delicate nerve fibrils to the muscular fibers and there a process takes place that may be likened to the flash of powder in the cartridge when the hammer strikes the cap. What “explodes” is the food-fuel in the muscle, or muscle-sugar. This comes from food consumed, which reaches the individual fibers through the blood-stream and through the lymph, by absorption. Now, when the muscle fibers are all “primed” for explosions leading to contraction and there is no flash from the nerve fibrils directing the explosion, the muscle-sugar remains and new supplies in the lymph are passed on by. If enough of the muscular tissue is inactive, this new food circulates and re-circulates without a place through which it can be expended. 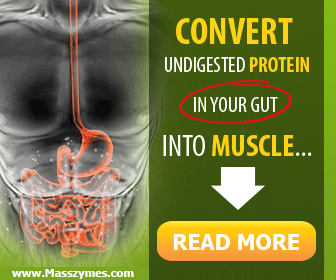 This condition backs up to the digestive system so that the digested foods cannot be absorbed. In time the digestive system itself become unable to digest foods properly – because food has not been needed by the extensive muscular system where most of the food is utilized. When there is proper exercise of the muscular tissues, then – throughout the entire system – processes are taking place which lead to improvement in the digestion and assimilation of food. There is a definite call for more food; and since the organs work together, like individual units in a co-operative community, the digestive system better prepares the food for use in the muscles, and effectiveness of the various transport systems insures that it reaches these muscles. During the same time in which this process is taking place, there is an improvement in the muscular tone of the digestive tract, promoting assimilation of the products of digestion. These products get into the blood-stream, and in the circuit through the body some of these elements will reach the fibers forming the muscles of the digestive tract. Hence, they will be in better tone, stronger, and more capable of performing their daily duties. In this way the internal and external muscular systems are better fed and strengthened and the nerve fibers responsible for their activity will be more keenly alert and ready to respond to demands placed upon them. The circulation is markedly influenced by muscular activity. An individual may lie in bed for months and the circulation will continue, but it may be likened to a sluggish stream with stagnation inevitable. At no time or place is there a swift current or a dashing rapids or waterfall. Where one exercises there is a need in the muscles for more food, the blood must bring it there, the nerves send the impulses impelling the blood to deliver the needed elements. The blood-stream flows along with swiftness from the inner structures, through the large blood-vessels as it goes to the body’s periphery and back again. This circuit must be made continuously. There is no stagnation in this stream. Toxins are much less likely to develop in such an active blood-stream, and there should be no decay or disintegration of the blood-vessel walls, or of the tissues adjacent to them. Exercise influences the heart favorably through its effects upon the muscle tissues and upon the blood. The heart is a hallow organ of marvelous muscular construction. From approximately four and a half months after the very conception of individual life until the last breath is taken, this organ must contract rhythmically and force from its chambers a definite amount of blood. During inactivity the heart pumps along leisurely. As a result of prolonged inactivity, its fibers become weak and incapable of withstanding any appreciable strain or tension. Exercise of the skeletal muscles is necessary for the heart to maintain normal tone of its tissues. To supply blood to the muscles that are exercised, the heart necessarily must work with greater force or greater speed, or both. 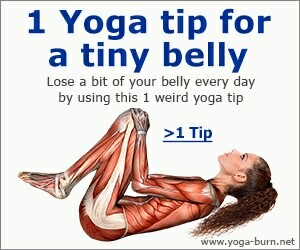 As it does so, its own muscular fibers are given strengthening exercise. In this way the heart becomes more and more powerful until it can resist many times the normal amount of exertion without injury, provided the exertion is not excessive and that the heart receives normal rest afterwards. The lungs respond favorably to properly-adapted exercise. Every globule of blood must reach the lungs several times in the course of a few minutes. As the blood passes through the delicate lung tissue, it passes off its burden of carbon dioxide and takes up a new supply of oxygen to supply the muscles with energy. Oxygen is necessary also to oxidize or burn up waste products, to prevent injurious results of accumulation. 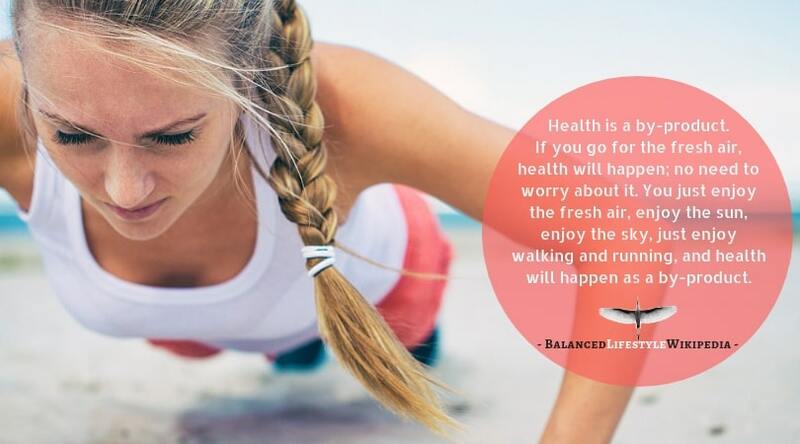 Exercise makes it necessary for the lung tissues to expand to receive more blood to throw out more carbon dioxide, and to take up more oxygen for the laboring muscles. Not only the lung tissue expands and strengthens, but the chest enlarges to allow more room for the lungs. Furthermore, expansion of the chest elevates the ribs and this elevation has a mild stimulating effect upon the spine through the rib attachments at the vertebrae, and this has a tonic, naturally stimulating effect upon the nervous system. Every vital organ within the body is influenced by the activity of the six hundred and more muscles that form the major part of our anatomy. We cannot have vital strength or organic vigor unless we use those muscles as they were meant to be used. Exercise works hand-in-hand with relaxation. One cannot build muscular tissues by exercise-only through exercise first and relaxation afterwards. What exercise does is to burn up muscle sugar and break down defective muscular fibers and prepare the way for the entrance of more building material so as to strengthen the muscle fibers against additional work. This repair, reconstruction and new construction takes place only during relaxation. Hence to build the muscular system into a serviceable muscular organization and to reap the benefits throughout the body of exercise, it is necessary that there be adequate rest, relaxation and sleep. One becomes enabled to profit from sleep through the influence of exercise. Relaxation becomes more complete, the sleep is sounder, and repair takes place not only in the muscular tissues but in every other organ as results of recuperative sleep. Why do we become fatigued or tired after exercise? First, because the broken-down cell material accumulates in the blood-stream, acting as a block to the flow of the blood and to the flow of the nervous energy. Second, because the motor areas in the brain become exhausted. That is, they have used up their reserve. Elimination will take care of the former comparatively quickly, but the latter requires relaxation and sleep for a complete correction. It is at once evident that rest and sleep are necessary in connection with exercise, in fact, they are indispensable. Exercise may be actually injurious without rest, and rest is useless and less profitable without exercise. Both are necessary, both dependent upon each other for the greatest benefit. Elimination of waste products is absolutely essential for the maintenance of health. In the sluggish individual the skin becomes inactive, breathing is shallow and the intestinal elimination is much below normal, while the kidneys may become irritated by the acids and other waste products that must pass through them in excessive and abnormal amounts or in concentrated form. By proper exercise the skin pores are opened, honest sweat makes its appearance upon the surface, bringing with it waste materials. It already has been explained how skeletal muscles exercises strengthen the internal muscular system. The improved tone in the intestinal muscles helps to re-establish and maintain the normal peristaltic wave, and the residue from food is carried out of the body. It has been explained also that the function of the lungs is made more effective, more carbon dioxide being carried out when the lungs must breathe more deeply and more rapidly through exercise. The increased elimination through these channels takes some of the burden from the kidneys – though temporarily the kidneys may have a small increase in solid elimination through the influence of exercise in breaking down cells and certain waste products. If one drinks enough water or fruit juice preceding, during and following exercises, or regularly during the day, the solid content of the urine will be diluted and this measure tends to prevent injury to the kidneys. Recently some physiologists have determined that the brain depends on lactic acid, almost solely as its food. Lactic acid is created by muscular exercise. When exercise is taken in sufficient amounts to maintain the general body in a condition of greatest health, then the brain attains better nutrition, and functions dependent on the mind – such as thinking, reasoning, imagination may be stimulated. From the above we see that proper exercise in normal amounts has to do with practically every factor concerned with the process of living. It makes more food necessary and permits us to handle that food; it demands that we drink water and that we secure fresh air for the supply of oxygen; it opens up the skin pores so that bathing is enjoyable and profitable and we become normally tired and so benefit by rest and sleep. We return to the point at which we began – that exercise has far reaching effect upon the body; that it is indispensable to perfect health; but that, along with this, must be all essentials that go to make up right living.